Fleeks is creating artsy designs, illustrations and merchandise. I'm Fleeks. I am a creator from Germany. I've done design and art as a hobby since I was 10, but I got into it when I started to take on various projects I did art for. So far I have done various designs for bands, artshows, small companies and even my own line of merchandise. And I don't want to stop there. I want to create more merchandise (especially shirts! ), art, worlds and my end goal is to make a living from it! In the course of my life I learned that art is what gives me joy and that this is my way to go. Please lend me your hand, the way is rocky! If you become my Patron you help me spend more time working on my creations. You'll be able to look over my shoulder while I create my stuff and get better at it! I will post exclusive concept artworks here. I'll do patreon exclusive streams, keep you informed about my plans, and much more! Perks in the will involve rewards like raffles, merchandise subscriptions, desktop backgrounds, exclusive merch for long-time supporters, dibs for commission slots, discount for various things I do, a supporter chat on Telegram and my Discord Server, and whatever I may think of in the future! I have many ideas on how to thank my supporters in the future and I have the goal to make every pledge worth your money. It's so much fun to come up with perks, and I promise to get more creative with it! 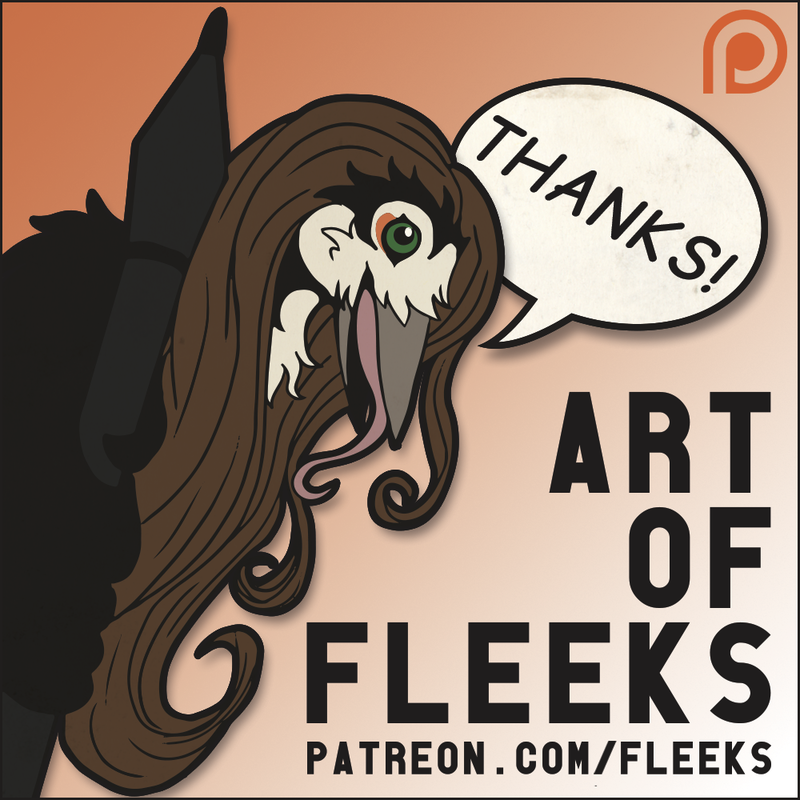 My favorite subjects are Birds, Gryphons, Dragons, Snakes, Tabletop RPG related stuff, Birds, Polymorph/Transformation, Insects, and much more! ... the possibility to challenge me - I will practise a different thing each month! ... whatever I can think of to make you hopefully enjoy being my patreon! You can't afford a pledge but you still want to support me? I know that not everyone has money to spare. I appreciate your support anyways! Every comment, critique, retweet, recommendation - all of your support means a lot to me! Money helps me to create, but it never should be the main motivation of creation. It's your cheer, your praise and the interaction with you that makes me going on! And: Most of the creations I do won't end up behind a paywall. And you can always commission me whenever you got some spare gold! Thank you so much for your support in the past, present, and future! Every donation means the world to me, but also every single nice word keeps me motivated. I am still planning on building my world of Burdania. Expect some exclusive insights. Expect WIPs. Expect me using my patreon for the comic and related perks in the future! I will do one bigger and canon concept artwork once in a while, exclusively for you patreons. Early access to comic pages, especially Burdania! This tier will contain more rewards in the future. Access to polls to influence me when I need opinions. Patreon discount on commissions (10%)! 5 Euro discount on every Teepecker shirt! You can suggest new shirt designs! You recieve one square sized sketch page or single sketch of a character of your choice per month! All previous rewards except the sketchy peck. You recieve one square sized, cleaned up artwork of a character of your choice per month! I may use the character for stylistic experiements. Hand over your character and let me surprise you! You can put your characters into my reference pool! I will use your characters as drawing warmup from time to time and send you whatever I do with them. But that's not everything: I will also use them for practise and PR art from time to time. That goes from practising new techniques on your character to using your character for a new commission example! A special role on my discord server incl. access to an exclusive voice channel I will often be lurking in while drawing! Have my biggest peck. And all my thanks. This is more than I can ask for! You can put your characters into my reference pool! I will use your characters as drawing warmup from time to time and send you whatever I do with them. I will also use them for practise and PR art from time to time. That goes from practising new techniques on your character to using your character for a new commission example! Get every released Teepecker shirt for FREE with the sponsor perk included as long as you support this perk! (Shirts are released about every 2 months) - Every second shirt you order will get the 5 Euro discount. THE ULTIMATE PECK. CAUTION. WEAR EYE PROTECTION. COULD CAUSE A RIFT IN THE FABRIC OF TIME AND SPACE. I will start publishing the Burdania webcomic pages at this point! I would be able to afford the time actually working on it!